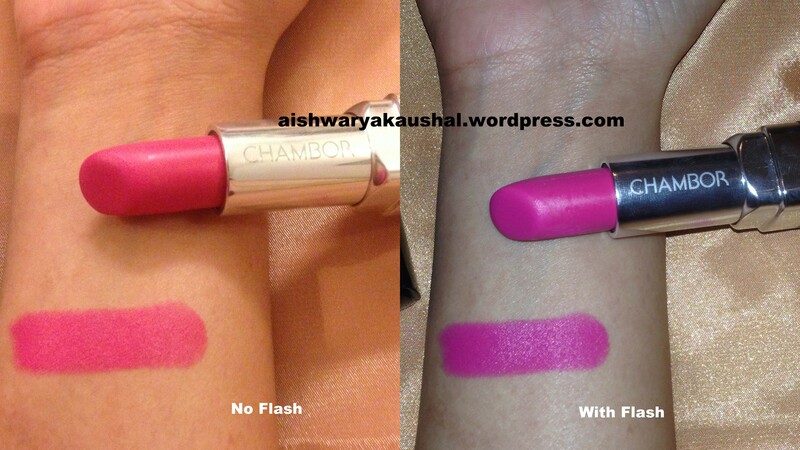 New Chambor Powder Matte Lipsticks “175 Sugar Pink”, “176 Pink Flamingo” and “177 Crimson Red” Review, Photos, Swatches! 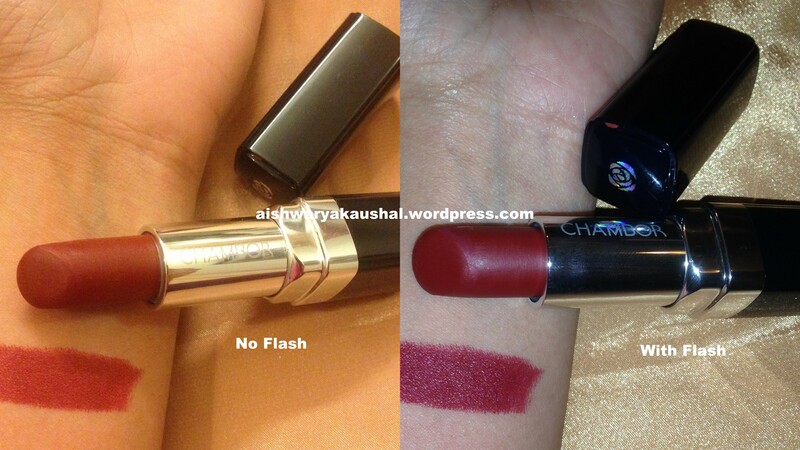 Anyway, I am here to talk about my current favorite lipsticks by Chambor! I love Chambor! Their Silver Shadow compact is my all time favorite compact and I always have a backup of it in my vanity. I hauled these lipsticks during my haul series. 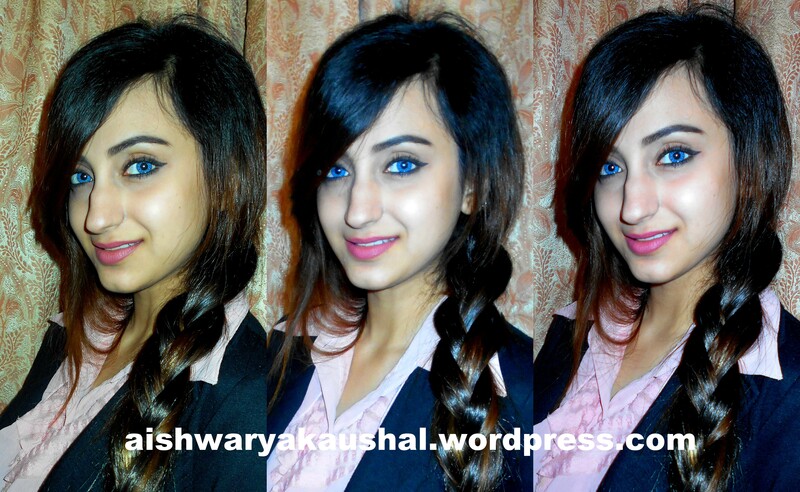 Haul Series Part 4 – Sleek and Chambor Makeup! I will be reviewing 3 beautiful shades from this range today. Emollients: For creaminess and comfort & gliding effect. Long wearing & water resistant. Has spherical powders to get the ultimate Matte Effect. 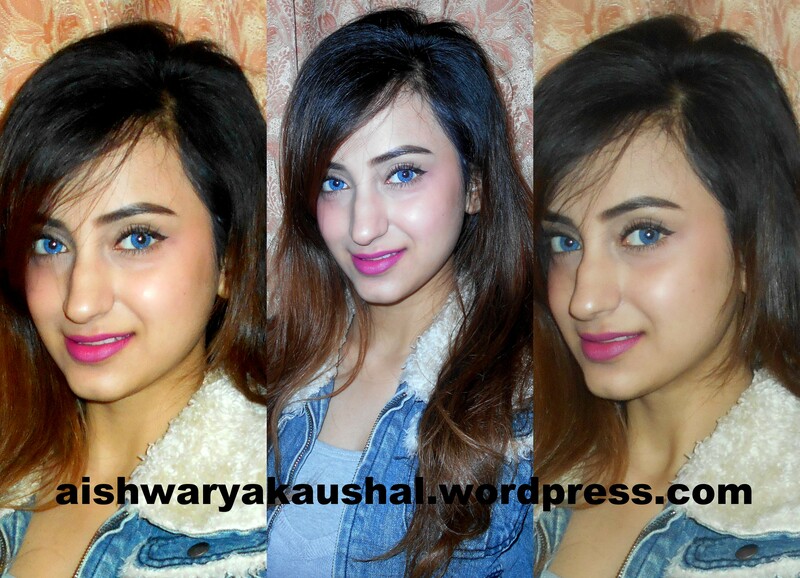 Regular use of Powder Matte Lipsticks makes the Lips Soft & Healthy. These lipsticks have been repackaged and the price has been increased. These are the “New” powder matte lipsticks in their new casing. I am not sure if the product itself has been reformulated. The internet is flooded with reviews of the old ones but I don’t know why nobody else has reviewed these yet! 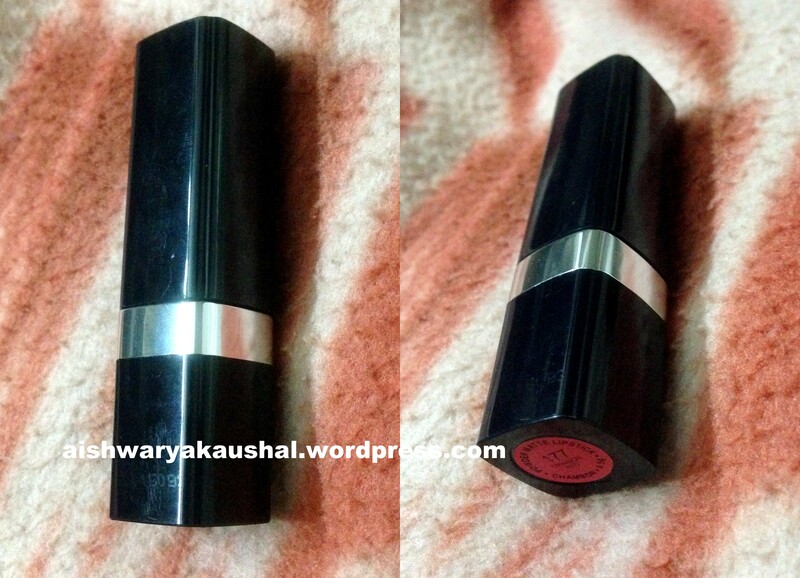 The lipstick comes in a sleek black case with a silver rim where the cap shuts. I wish they showed the color of the lipstick outside on the packaging because when you have more than one of these in your collection, you have to read the name of the shade on the bottom! The pigmentation on these lipsticks is fantastic. They will cover any issues of pigmented lips and look fabulous. One swipe will give you full pigmentation but you can blot them down and wear them a little sheer if you like. I like to wear them full power because the shades are just so beautiful! The texture, although matte, isn’t entirely drying. I won’t say its moisturizing because it isn’t but it is still very comfortable to wear. Being a matte lipstick, I don’t feel like my lips have been chapped dry when I wear these. However, before wearing these, you need to make sure your lips are exfoliated and soft as they will cling to dry patches, if any. They apply smoothly and do not tug on the delicate skin of the lips. They will stay on for 5-6 hours with very little transfer and fade evenly leaving behind a light stain. After that the lips start to feel a little dry. But, nothing that some lip balm can’t take care of! You may need to touch up after consuming an oily meal. They are completely waterproof and do not settle into fine lines. The smell is pleasant and not overpowering at all! Whenever I wear bold lipstick, I prefer it to be matte. That way, the color doesn’t feather out and I don’t have to be afraid of smears! This is a beautiful nudey shade. It is pinky, peachy and nudey at the same time. Perfect for everyday! This is a true maroon. Its the perfect shade for fall/winter as it is a very deep rich red. I am extremely content with these lipsticks and would recommend them to everyone who likes matte lips! I will definitely repurchase the shades that I have when I run out of them but I also want to try other shades from this range. Outfit Of The Day – White Jacket and Red Palazzos! Collective Haul – Clothes and Accessories! 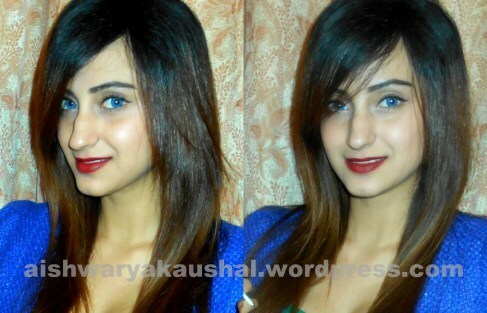 Hi Aishwarya ! I am dying to get my hands on the beautiful pink flamingo. I am a resident of Bangalore n have no idea of any Chambor counters in my city. I would be very pleased if u cld tell me where to buy it from. 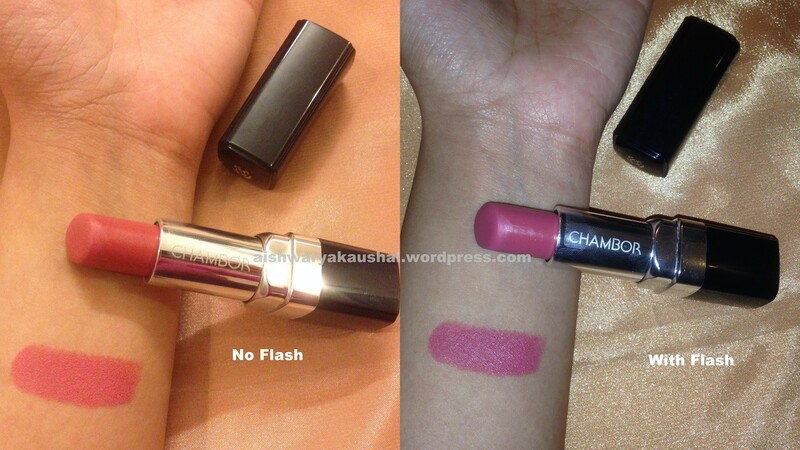 what is your opinion about chambor shade 163? recently purchased but after sometimes it gets chapped. i use baby lips before applying this lipstick; but doesn’t work much. any suggestions to use it well? Matte lipsticks require the lips to be soft and supple. Make sure you exfoliate your lips with a toothbrush or lip scrub beforehand to prep your lips. Then apply a thick lip balm ( baby lips only dries the lips further in the long run ) like Boroline or Vaseline or some other one. Let it sit for a few minutes then wipe it off. Your lips should now be ready for matte lipsticks. Bear in mind that lips do not have oil glands to keep then moisturised so no matter what, after a few hours matte lips will begin to feel dry!